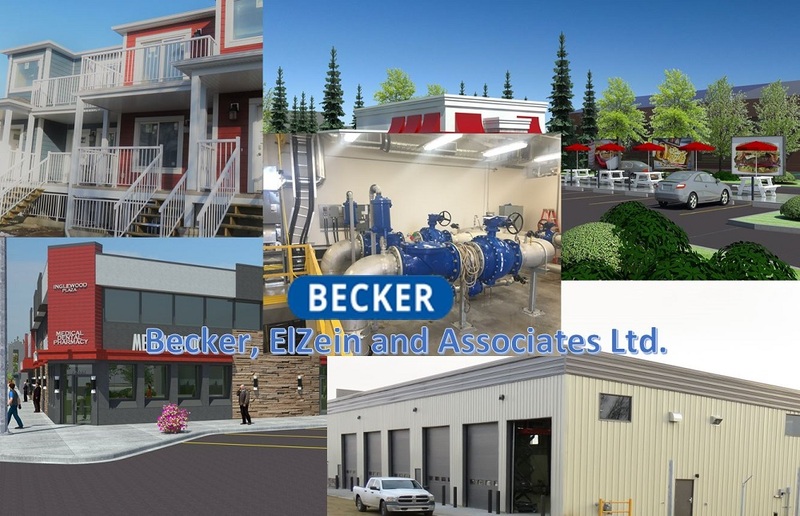 Becker, ElZein and Associates Ltd. is an Alberta-based, employee-owned Consulting Engineering firm specializing in Structural, Mechanical, Electrical and Municipal Engineering; and in Building Design. In addition to these services, Becker, ElZein and Associates Ltd. provides investigative engineering assistance to its many public and private clients. We recognize the importance of preplanning every project and match the staff to the assignment. All assignments and projects are carried out by a team whose individual skills are matched to the problem, and are headed by a Professional Engineer. Our firm is capable of producing drawings, 3D color renderings, technical specifications, reports, etc., by utilizing various software systems. Our firm has established a reputation for prompt and professional service with our clients. We provide engineering services to the residential, commercial, industrial, modular and municipal sectors and are available to answer any questions and provide guidance for any projects large or small. Becker, ElZein and Associates Ltd. began operation in 1982 and is a founding member company of The Becker Engineering Group. Over the years, we have worked on countless various projects, big and small, across Canada. Our diverse clientele includes, but is not limited to, home owners, construction companies, manufacturers, and developers. Our mission is to assist our clients throughout every phase of their project. A successful project begins with attentive design and planning and encompasses high quality and cost effective engineering strategies. To deliver practical solutions, we strive to understand the project challenges and assist our clients to work towards a common goal. Our talented team is diverse in technical skills and experience, to provide our clients with unique design concepts and engineering approaches. With a passion for building design and engineering, our friendly staff will guide you with their distinctive design concepts and broad understanding of construction to provide you with exceptional services.